Fatherhood is difficult, especially when you're an octopus. That is the moral of the 2011 IGF Student Showcase winner Octodad, available for free from its website. This hilarious little title was created by a team of interactive media students at DePaul University in Chicago, and is the latest in a stream of successful indie games to come out of collegiate video game design programs. In fact, it's so successful that a sequel is in the works. The premise is deceptively simple. Players control Octodad, a supremely intelligent (aren't they all?) octopus masquerading as a married suburban father of two. He has to allay the suspicions of his family as to his true identity (I have no clue how those kids were conceived) long enough to construct a dummy of himself that will replace him while he does "important work" in the basement. The game itself consists of Octodad completing simple tasks around the house without anyone realizing he's an octopus, which is pretty tough without bones. Players use a surprisingly intuitive, but still maddeningly hard-to-use mouse control system to manipulate Octodad's arms and legs individually. Getting around the house is QWOP-difficult, and sweeping the living room without destroying it is nearly impossible. The story and the sheer chaos of playing the game make it hilarious and ultimately an enjoyable fare. The story of how Octodad was made is presented in great detail in the free Game Developer Magazine Game Career Guide released last week. 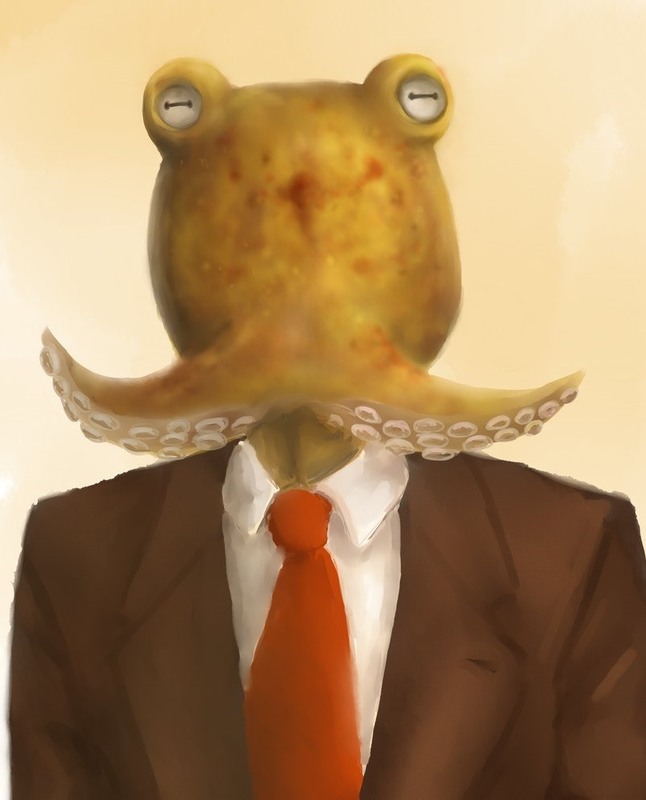 In short, Octodad is the work of a team of hand-picked DePaul students. Two faculty members selected the 19 students in 2010 for DePaul Game Experience, or DGE, a program designed specifically to make a contest-winning indie game. It did just that in less than a year, a remarkable achievement for any game development team. Their success has led them to start a Kickstarter project and raise money for a sequel. They are 60% of the way to their $20,000 goal, so if you liked the original or just want to help out some struggling game designers click here. Undergraduate and graduate game design programs are spreading like wildfire through higher education. Flow, designed by USC game design student Jenova Chen, attracted a lot of press to the idea of student game design, and interactive media has become an increasingly available and respected field of study. This is very exciting for games as a medium. If the industry is going to move forward, it needs a way to school new talent in a formal setting, and that is finally becoming a reality. I thought it was pretty funny. The controls are pretty awful, but I think that's part of the joke. The terrible controls aren't just part of the joke, they are the heart of the game. Without them, Octodad would be a rug-vacuuming simulator. With them, it is a crazy-emergent-slapstick-comedy-bad-controls-puzzler. That's a new genre, containing this and the Bennett Foddy games. A cruel genre. I don't know why terrible controls is considered innovative. I thought the concept was odd, but it worked in a weirdly bad Family Guy sort of way. The controls make it unplayable. I would rather play through Call of Duty and yawn the entire time at least having full control of what I'm doing then play past the basement on Octodad.